Lebanon, Missouri is home to many fun, family things to do. Spending the day fishing at Bennett Spring State Park, watching the local favorites race at I44 Speedway, playing golf at the Great Life Golf & Fitness or taking in a movie at the Ritz 8 Theater. Lebanon is home to many unique shops and attractions, including antiques, collectibles and treasures. If you ever got your kicks on Route 66, stop in and check out the Route 66 Museum located in the Lebanon-Laclede County Library. Visit a true Missouri whirlwind, the Whirlwind Ranch alpaca farm. Coming to town for one of the events in the Kenneth E. Cowan Civic Center? 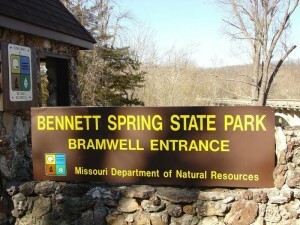 Fishing for trout at Bennett Spring State Park? Floating on the Niangua River? Need a place to sleep? Click here for a list of accommodations. Lebanon, Missouri has the best in fine dining and those quick pick ups after a long day. Enjoy your favorite restaurants in Lebanon and Laclede County!